ExcelClad is a stockist of both Marley Eternit and Cembrit corrugated fibre cement products. Fibre cement remains a reliable alternative for condensation issues. The two main fibre cement profiles available are Profile 3 and more commonly Profile 6 which is also known as ‘Big 6’. For animal housing and other agricultural building projects, Profile 6 remains the most frequently used high strength product. 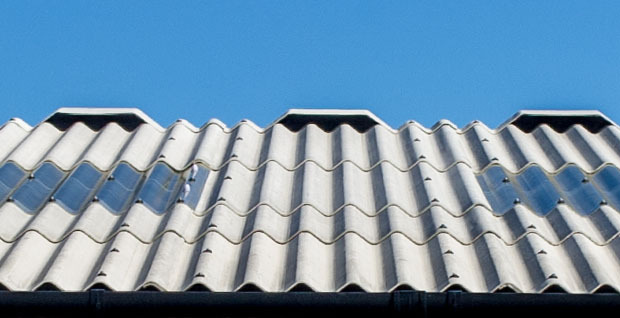 Designed for a roof pitch of 5° and over, fibre cement is also a direct replacement for asbestos sheeting. All our fibre cement sheets come with polypropylene re-enforcement bands running within the sheet for increased strength and safety protection. In addition to the standard natural grey finish, we offer fibre cement products in a range of suitably rural colours. Whatever your project might be, new build or refurbishment, ExcelClad offers a comprehensive range of fibre cement sheets and replacement products such as ridge cappings, barges and accessories. And due to our extensive stock holding, ExcelClad can turn round deliveries of complete roofing packages or replacement products in short lead times.